We pride ourselves on giving every client of ours the utmost personal service. In the end, what matters most is your satisfaction. Whatever your needs are, we will deliver. How can we get you started on your real estate journey? We have a track record of proven results. We are passionate Vancouver REALTORS® with an unwavering desire to see our client's real estate dreams to fruition. We will be honored to be a part of your real estate journey, working alongside you. Representing you, selling your home or assisting in finding your perfect property, and negotiating on your behalf - as a team, we work hard to make your dreams come true. As local professionals, we know the neighbourhoods, schools, market conditions, zoning regulations and local economy. We pride ourselves on constantly building extraordinary relationships with our clients based on trust, sound advice, shared visions and simple friendships. We measure our success through through satisfaction of our clients. We view real estate not only as a home for making memories but is equally focused on maximizing its investment potential. Find your home in Downtown Vancouver. Browse all Downtown real estate listings currently for sale. Find your home on Vancouver's Westside. 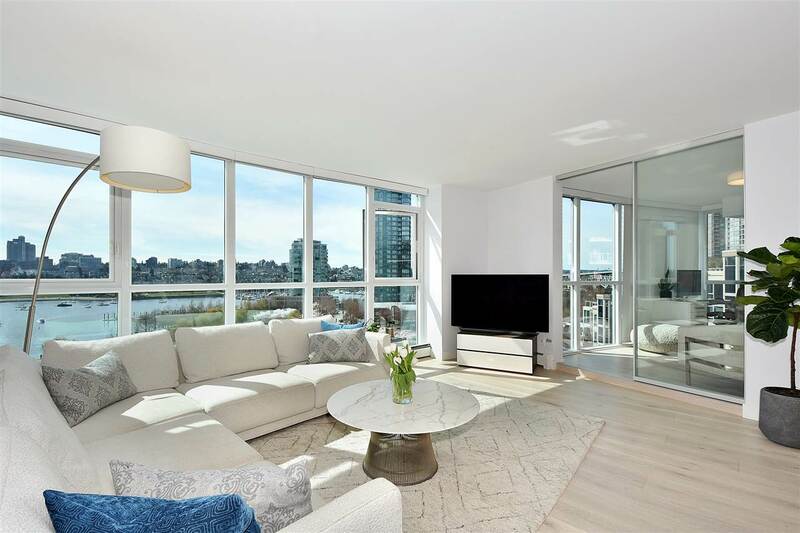 Browse all Vancouver Westside real estate listings currently for sale. Find your home on Vancouver Eastside. Browse all East Vancouver real estate listings currently for sale. Let us help you every step of the way. When purchasing a home, you are faced with a multitude of decisions, and together we'll find you the right home. Welcome to this boutique townhome development with a warm community feel just East of Commercial Drive. Thoughtfully designed, this tranquil home is featuring 2 bedrooms + 2 bathrooms on the same level & a separate flex space + full bathroom downstairs which is perfect for an office, den, playroom, or guest room. Enjoy amazing North Shore mountain views from your master bedroom and living room! Beautiful maple hardwood flooring throughout, stainless-steel appliances, contemporary kitchen cabinetry and efficient heat pump heating system with A/C! This private, quite and secure townhouse is perfect for young families who desire functional space and want to stay close to the city without compromise. Wonderful area with emerging amenities, short walk to parks, restaurants, shopping, coffee houses and craft breweries. Transit is only a block away, easy and quick access to Downtown, the North Shore and the Hwy. Pets & rentals allowed. Low Strata Fees still covered by a New Home Warranty. Contact us to arrange a private showing! We pride ourselves on giving every client of ours the utmost personal service. In the end, what matters most is your satisfaction. Take a look at what our past clients have said about their experience.